I had no issues getting pregnant with my first daughter. I wasn’t even trying at that point in my life. When my husband and I were ready to try for a second child, I figured it would be easy like the first. Both of us were healthy and didn’t have any medical issues. I truly believed it would happen immediately. I couldn’t have been more wrong…. Instead it took years. After the first couple months, I didn’t sweat it too much. After we passed the six month mark and still no positive pregnancy test, I started to worry. The doubt and frustration built over the months and I started to believe it would never happen. Back then, I didn’t really have any tools to help me with the process. I had some books to read and listened to advice from friends on how to increase my chances, but nothing was working. I went to the doctor to find out if there was a medical reason. He said that we would start testing with my husband because it was the least invasive test compared to the one I would have to do. My husband was booked in and we were counting down the days till he would go. I hoped for answers. It’s a strange and funny thing how it happened. I woke up the day before my husband’s test and had a strong feeling to take a pregnancy test. By some miracle, it was positive. We cancelled his testing and never did find out the reason why it took so long to conceive. Maybe it would have been different if I had some of the tools that we have today available to me back then. Technology has come a long way in 11 years! 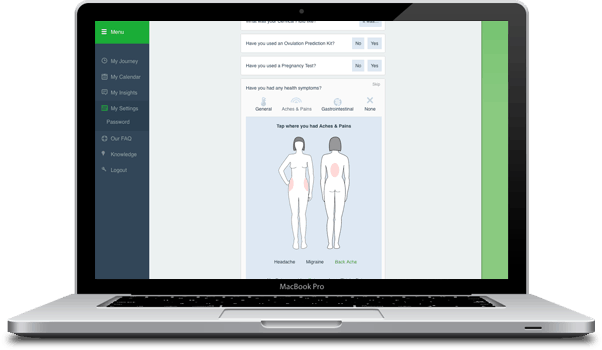 I recently learned about a new tool to help people conceive: OvulationCalendar.com. It’s nothing like the calendar I used a decade ago where I wrote down when my cycle was starting and when I thought I’d be fertile. My method didn’t work so well for me as you can tell! Ovulation Calendar is so much more than just a regular calendar. 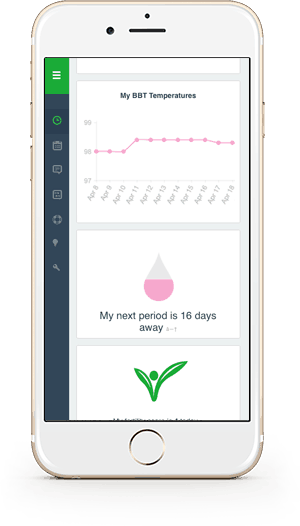 It also analyzes your personal cycle, health and lifestyle data along with aggregated data to give you an exact prediction of when you are ovulating. It will help you know when you are most fertile so you can conceive faster. One thing I thought was neat about OvulationCalendar.com is that it learns from the data you give it to give you better predictions. It’s personalized for YOU! It’s simple to log in information. I tried it out even though we are done with having babies here and liked how intuitive and simple it was to record my personal details. It’s answering yes/no questions, short drop down lists or recording numbers (for temperature). All the questions are optional so just put down information you personally know. If you miss a day, don’t stress. You can go back and add it in or just leave it. I would try to be consistent though. Like any system, it works to its fullest potential when it has more information to go on. Another cool feature worth a second look is their Gender Specific Insights if you are trying for a specific gender. Personally, I never was. I just wanted a baby and would be happy with a boy or girl. It’s FREE and fast to sign up for an account. 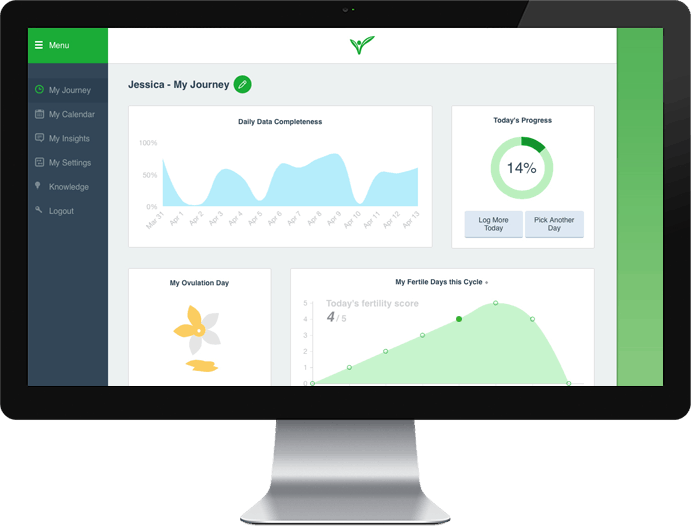 Once you do, you’ll have your own personal dashboard with all your data. I’ll give you a brief rundown at some of my favourite features in the dashboard. My Journey. Shows fertile days this cycle, cycle timeline, ovulation date and when you should take a pregnancy test. My Calendar. Keep track of the dates when you logged data, period prediction, your fertile window, dates for increased chances for boy or girl, and more. My Insights. Your data at a glance and tips for helping to conceive. Knowledge. A wealth of articles on important related topics like getting pregnant, health, preparing for pregnancy, understanding ovulation and more. Ask an Expert. Have a specific question? Ask one of their fertility and pregancy experts. Even if you aren’t trying to conceive yet, it might be worth it to join now and start logging in your data. Then when you are ready to start a family or try for another, you’ll have strong data to base your decisions on. If you are currently trying to get pregnant, sign up now. It’s free and it’s available. Take advantage of it. Visit OvulationCalendar.com to learn more and to sign up! Connect with OvulationCalendar.com on Facebook. I’m familiar with fertilityfriend.com, but this is the first time I’d read about ovulationcalendar.com. Thanks for sharing! This seems like such a great tool, I had never heard of ti before, but all the information is really great.Thanks for sharing it. I use period tracker, but this looks way nicer! I have endometriosis, so I know that it will be hard for me to have kids. I already have one tracking app on my phone, but this looks like it might be a much better option. It seems much more customized! We have just had a research piece written about Endometriosis by one of the world’s leading experts at a British University. If you email us through our website – we will send you the link to the post once it goes live.